Home > Learning Center > Home Improvement > Why should I use a dehumidifier? Why should I use a dehumidifier? Installing a dehumidifier lowers your home’s overall humidity levels, making it hard for molds, dust mites and mildew to stick around in your home. Their absence can help reduce allergy symptoms, while protecting children from childhood asthma caused by mold. Decreased odor. If your home smells musty, it is likely due to the presence of additional mold or mildew. Installing a dehumidifier reduces this presence. Reduced skin irritation. You’ll not only breathe easier, but your skin won't feel as itchy. Reduced cleaning. Dehumidifiers run like air filters, reducing not only the home’s humidity but dust as well. That means you won't have to dust as often! Protection for clothing and sheets. Dehumidifiers remove excess humidity from the air so mold won't grow on clothes and sheets. Food preservation The more humid your home is, the faster foods like breads or cereals will grow stale or mold. You may be looking at a lowered grocery bill and less waste. 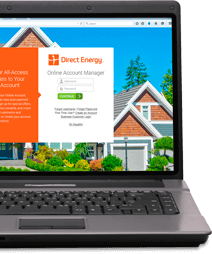 Reduced energy cost. While a dehumidifier is another machine running in your home, it supports your air conditioner and allows it to run more efficiently. How does it work? The dehumidifier tackles the task of removing moisture from the air so the air conditioner doesn’t have to. This allows your air conditioner to not work as hard, resulting in reduced energy expenses and a longer shelf life for your air conditioner. To find the right dehumidifier, you must first understand your home’s humidity levels. A hygrometer will measure the humidity in your home, and you can pick one up at any home goods store. You will also need to measure the size of the space you want to dehumidify in square feet. The size of the room compared to the reading on your hygrometer will provide you with the information you need to find the right sized dehumidifier. For example, if your hygrometer returned a rating of 60-70 percent humidity, you will need a dehumidifier capable of removing 10 pints of liquid for every 500 square feet. 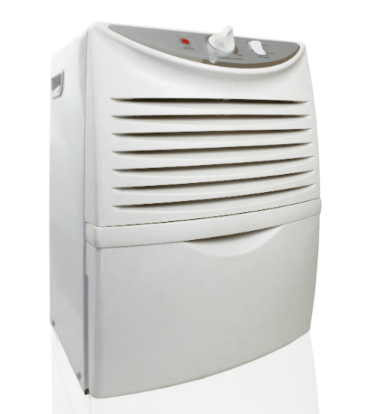 Larger rooms with higher hygrometer readings will require larger dehumidifiers. Start with the base formula above and increase your dehumidifier size 2 pints per 500 square feet for every additional 10 percent reading on the hygrometer. This comparison ratio will give you a solid starting point as you begin your search for a dehumidifier, but don’t be afraid to ask questions at your local home goods store as well.